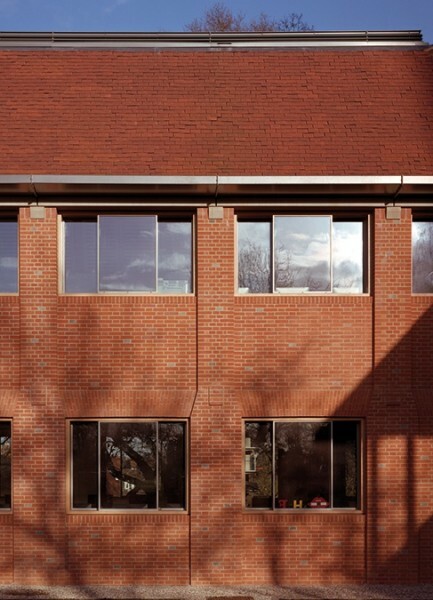 The school is located in the heart of the conservation area of Hampstead Garden Suburb. 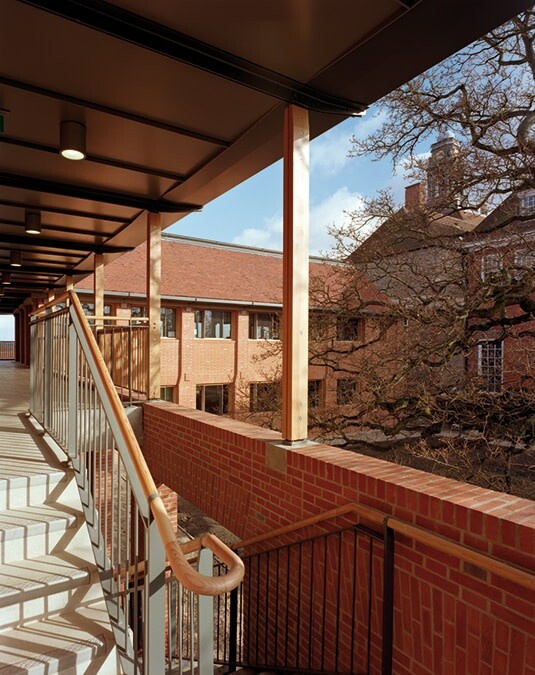 Founded in 1911, the main body of the school is a Lutyens-designed Grade II* Listed Building. Subsequent buildings have been created over time around the Lutyens core in an effort to meet curricula requirements, but none have fulfilled the needs of this top performing grammar school. Since the early 1960's, some 17 schemes have been developed, but none of them have received Planning Permission until the Hopkins proposals were put forward. 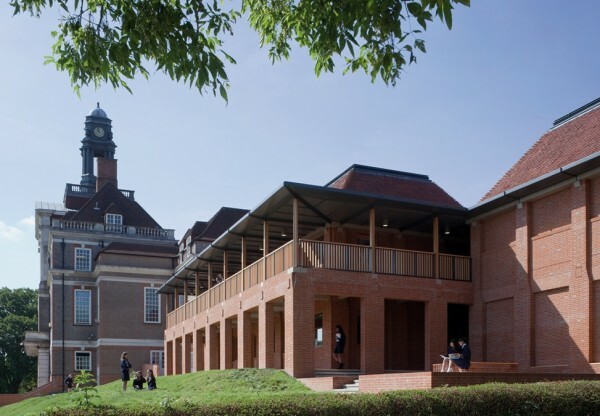 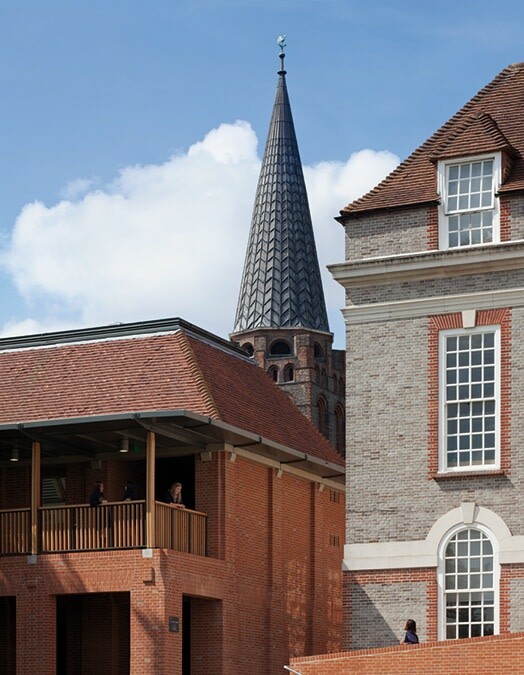 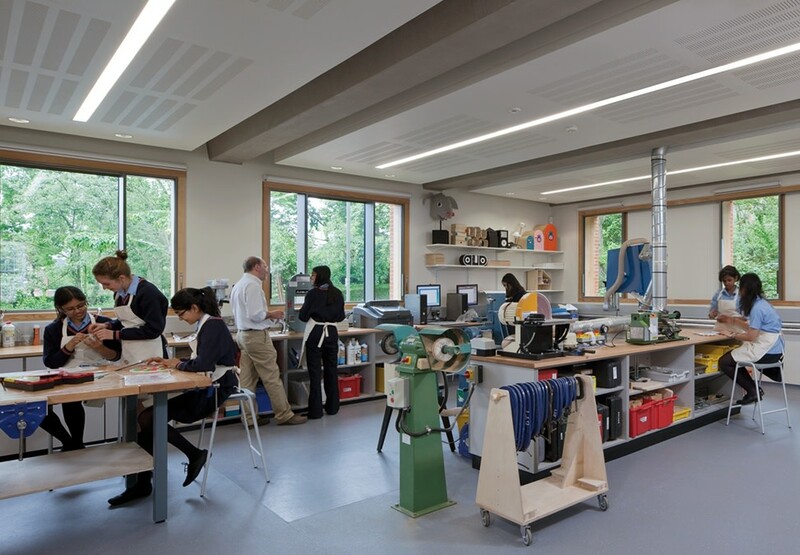 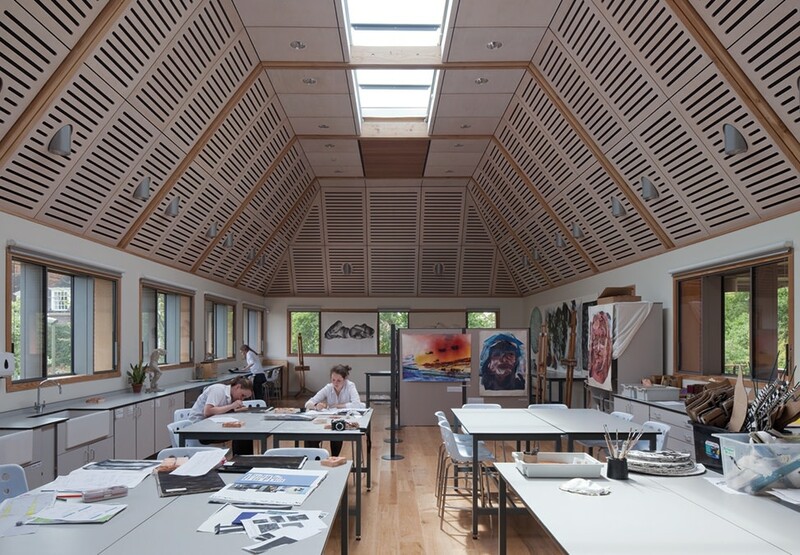 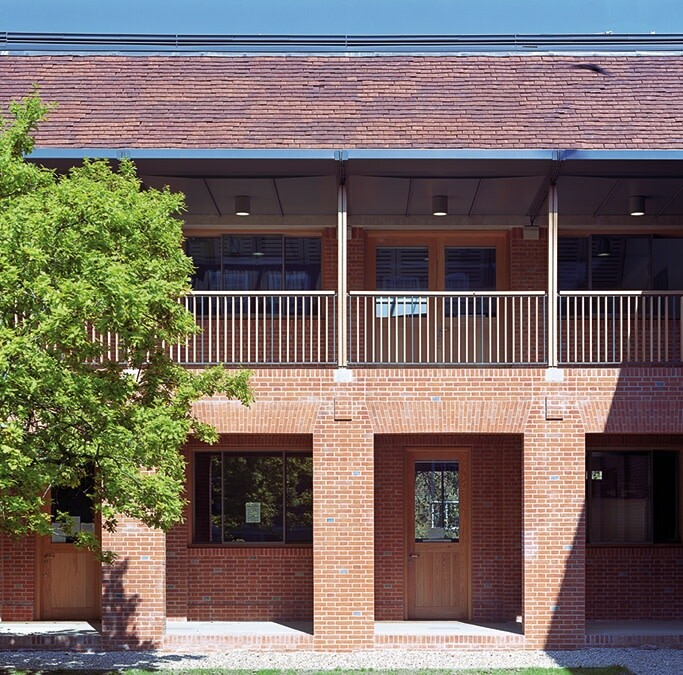 Hopkins was originally asked to evaluate the entire school campus, including the consideration of the refurbishment of the two listed buildings, the treatment and use of external spaces and the need for new buildings. The resulting masterplan proposed the re-organisation of the existing buildings, reducing the need for new buildings to 1,100 m², a substantial reduction in massing compared to other schemes. 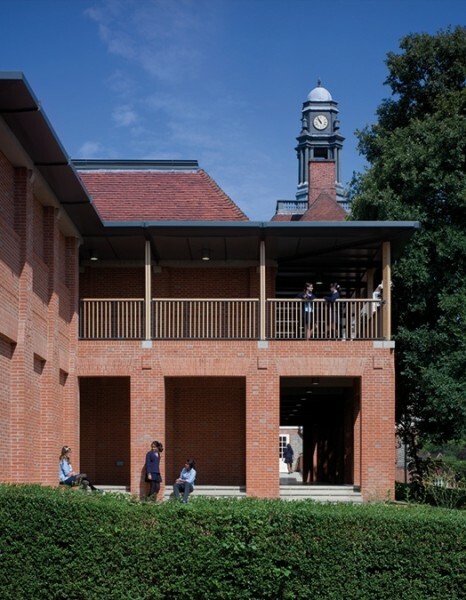 In order to achieve Planning Permission, Hopkins carried out extensive consultations with a number of stakeholders including, Barnet Planning Authority, English Heritage, the Hampstead Garden Suburb Trust, the Victorian Society, the 20th Century Society, the Lutyens Trust and CONSAM (Conservation and Amenities Committee). 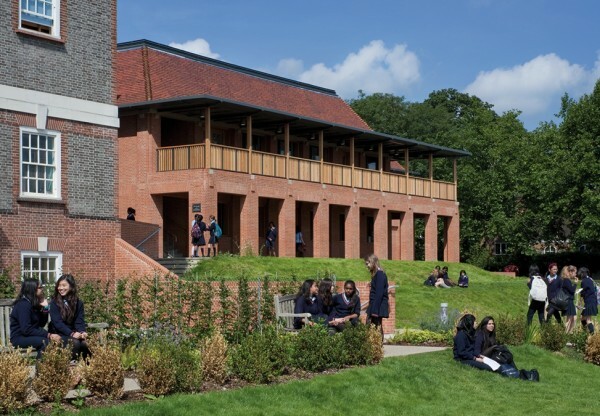 The project was funded from a DCSF grant awarded to the school in March 2008, following a feasibility study and grant application prepared by the school and the architect.